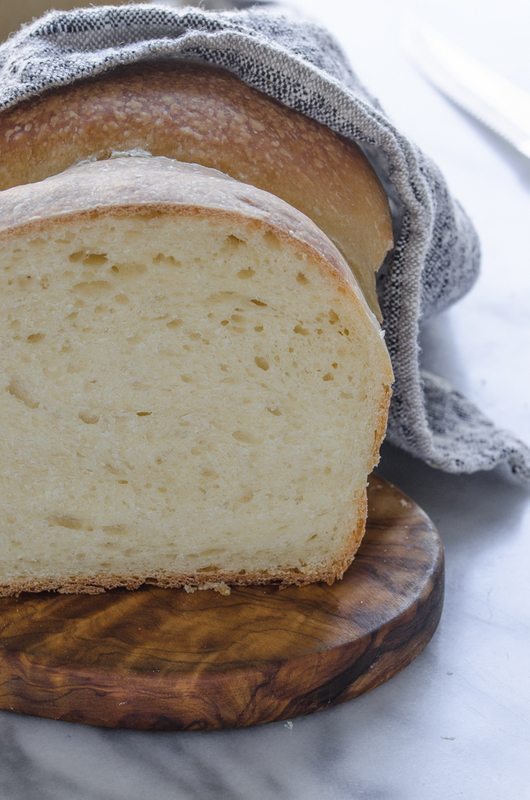 This sourdough sandwich bread is soft, naturally leavened, and perfect for toast, sandwiches, etc. 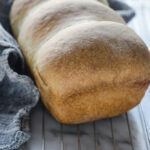 My first love with sourdough was my homemade artisan sourdough bread – that recipe makes some out-of-this-world-good bread. I truly think that every sourdough baker should make a rustic loaf like that at least once. That loaf is insanely delicious. BUT…it isn’t always the most practical. All those beautiful little air bubbles don’t always make for the best toast or sandwich. 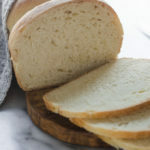 When you don’t want to have to tear at a sandwich with your teeth, or when you don’t want the melted butter to run out the bottom of your toast, you make this sourdough sandwich bread. First, we need to make the leavain. What is a levain, you ask? 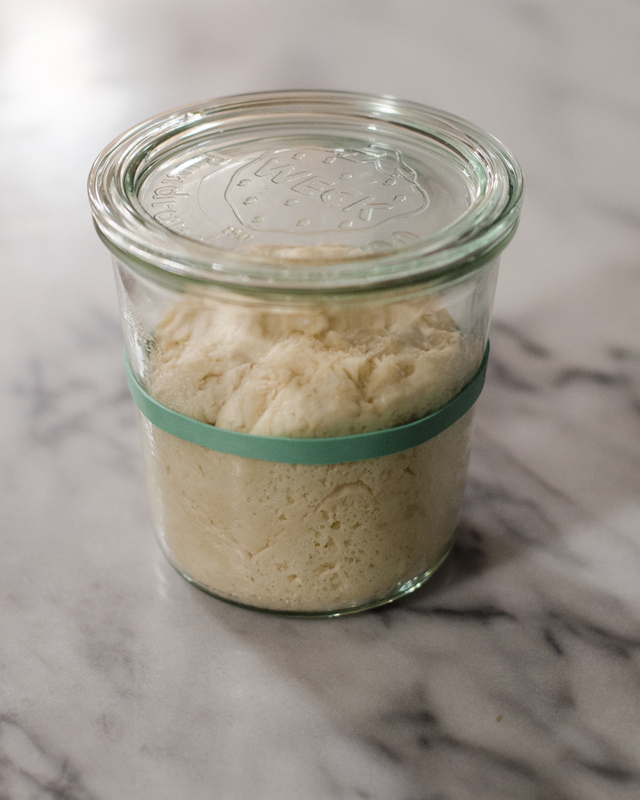 It’s basically a sourdough starter that you mix up specifically for your recipe. It’s the leaven that will make your bread rise. Unlike my artisan sourdough bread recipe, we’re noting using a wet, 100% hydration levain. This one’s more like a stiff dough, and it contains milk! Mix it together and wait for it to ripen and rise. 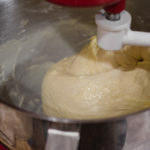 Next, you add all of the ingredients (including the levain) except for the salt and butter to the bowl of a stand mixer. Mix with the paddle attachment just until everything is combined. Let rest (autolyse) for 30 minutes. 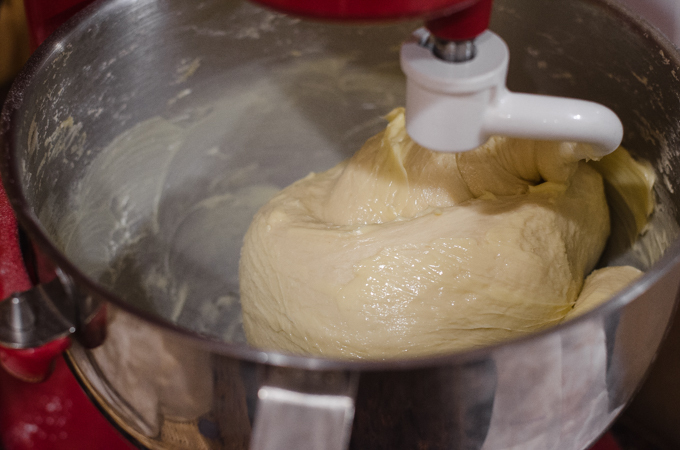 Switch to the dough hook. Add the salt and knead the dough until it starts to come together, about 3 minutes. 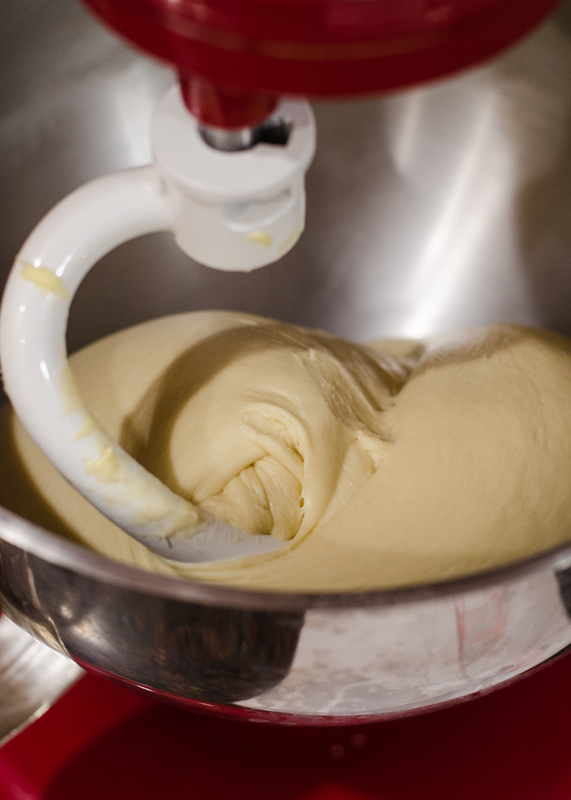 With the mixer running, gradually add the butter, mixing well after each addition. At first it will seem like a greasy mess. Just keep going and the butter will eventually absorb into the dough. 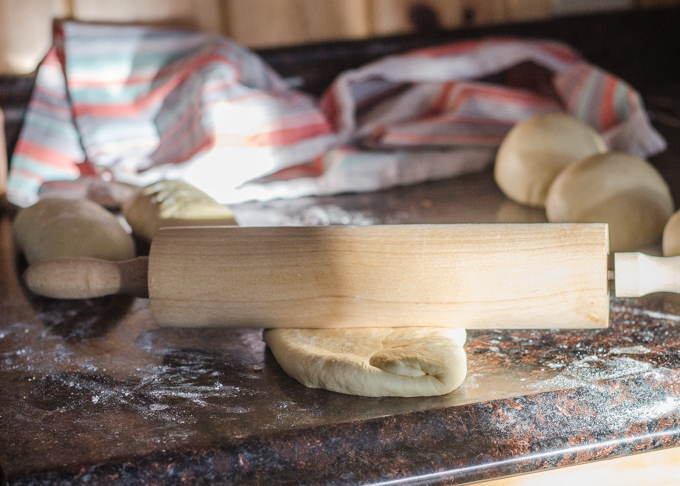 Keep kneading until the dough is beautifully smooth and passes the windowpane test. 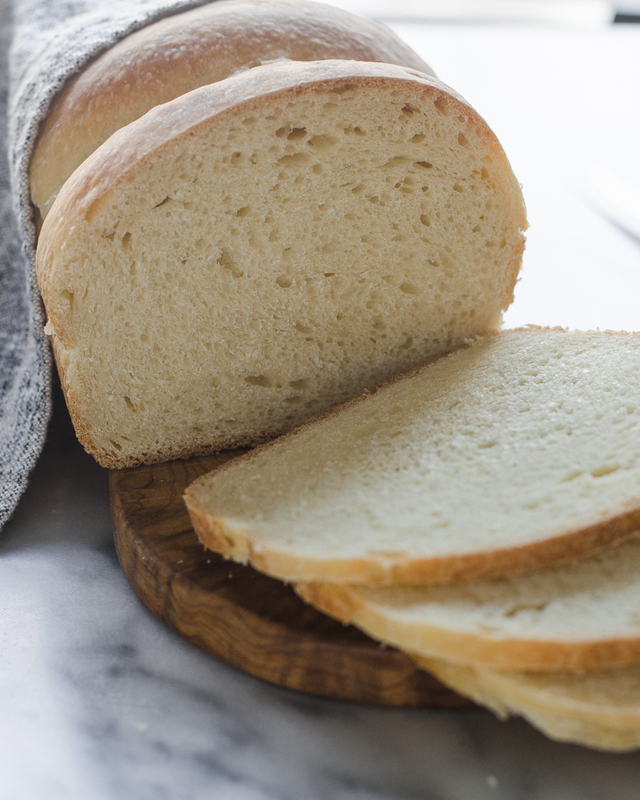 Be patient – it can take quite a while for the gluten to develop enough! 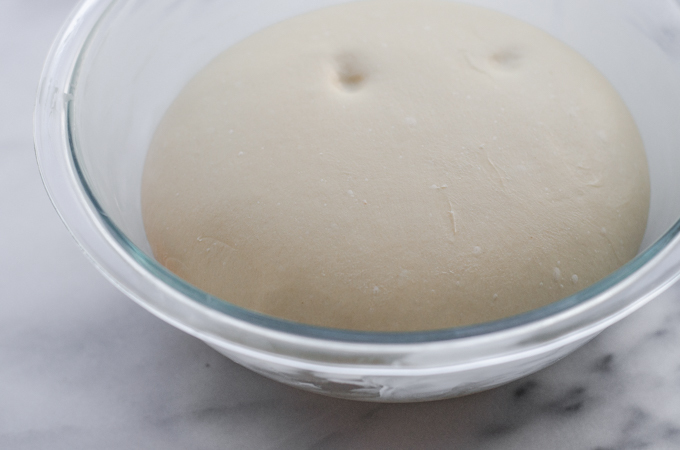 You can let the dough rise at room temperature for 2 hours, then place it in the refrigerator overnight. 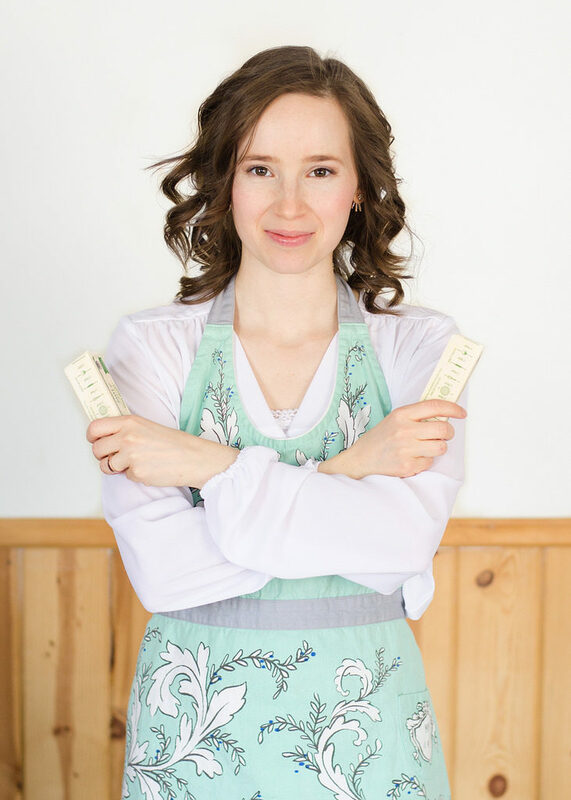 If your kitchen is quite cold like mine is in the winter/spring, you can do the bulk rise overnight at room temperature. If your kitchen is quite warm, I recommend using the first method. 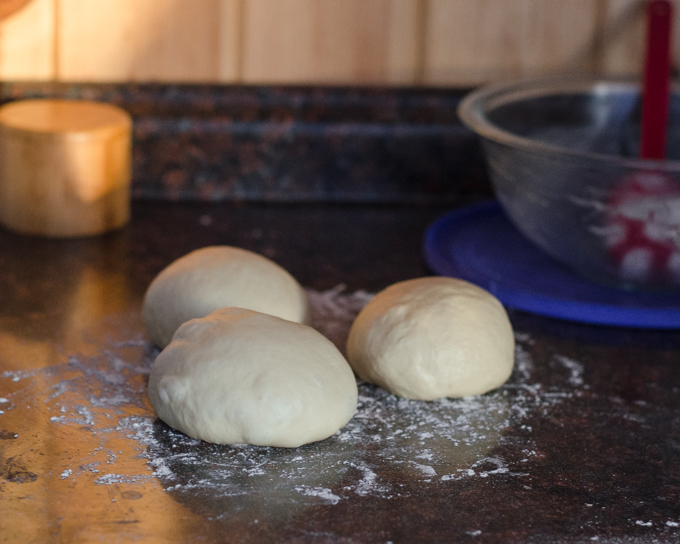 The next day, divide your dough into 3 equal parts. Cover with a damp tea towel and let rest for 1 hour. Roll the balls out into ovals. Now roll each oval up jelly-roll-fashion. Flatten the roll back out into an oval again along the seam. 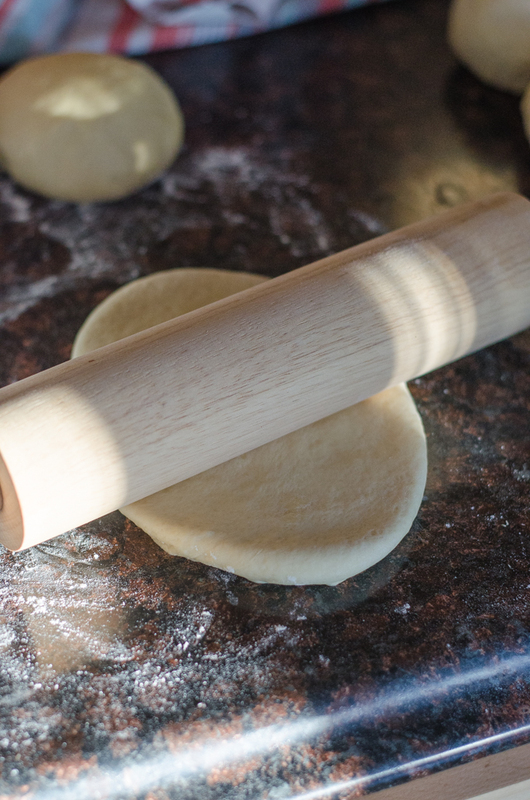 Roll the dough back up one more time like a jelly-roll. Put the rolls into a buttered loaf pan, seam side down. 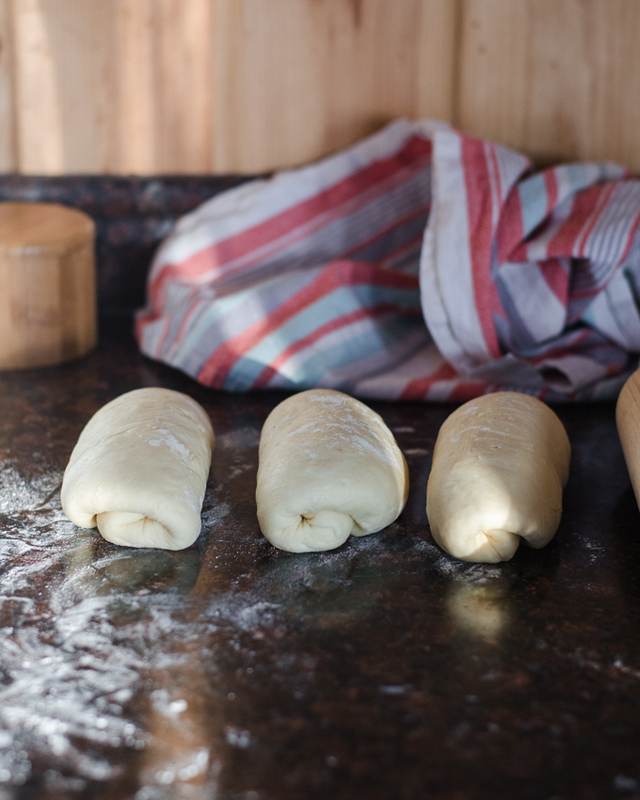 Cover with a damp tea towel and allow to rise at room temperature for 6 hours. Bake in a hot oven for about 40 minutes. 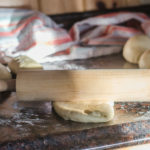 You want the dough to reach an internal temperature of about 195-200° F.
Try your best to wait until the loaf has completely cooled to slice into it. The first time I made this bread, we scarfed down about half a loaf in one sitting. Reuben devoured slice after slice, even though he isn’t a big bread fan! It’s that good. 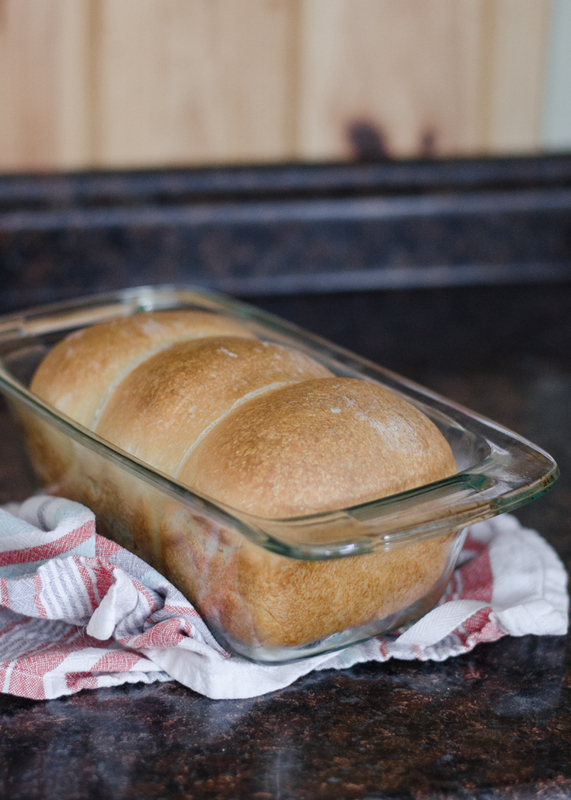 I scaled up the original recipe (BTW, go follow Cook Til Delicious) to better fit a standard American loaf pan. The original amount was for a pullman loaf pan, which I don’t own. 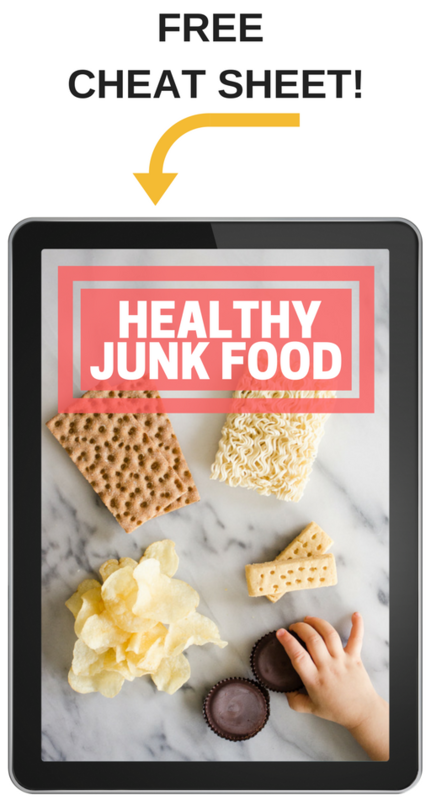 I have made this recipe with and without the sugar. Of course it’s absolutely delicious with the sugar, but it’s still really good without it. 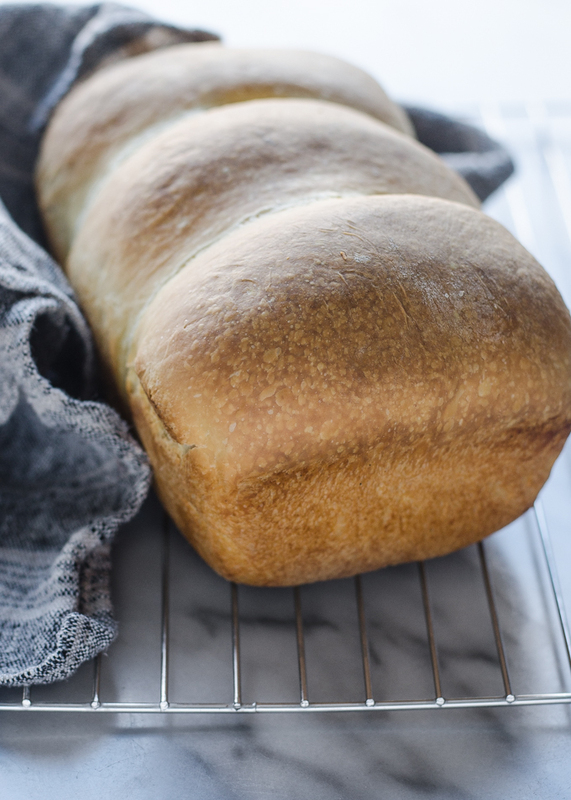 If you don’t have any bread flour on hand, you can still totally pull off this loaf. I’ve made it with part bread flour, and also with all AP flour. 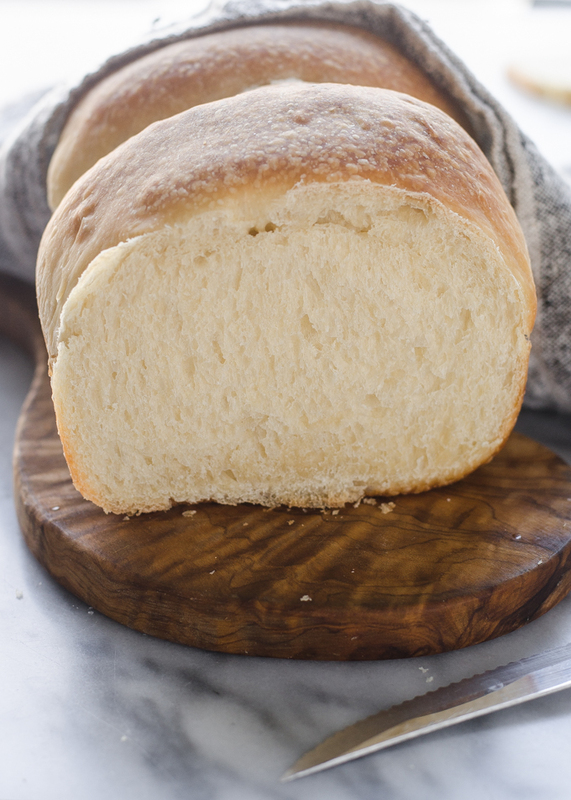 This sourdough bread is soft and light - perfect for making sandwiches or toasting! Mix together all of the levain ingredients in a jar. Let sit at room temperature to mature and rise, about 8 hours. 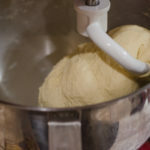 Place all of the dough ingredients (including the levain) except for the salt and butter in the bowl of stand mixer fitted with the paddle attachment. 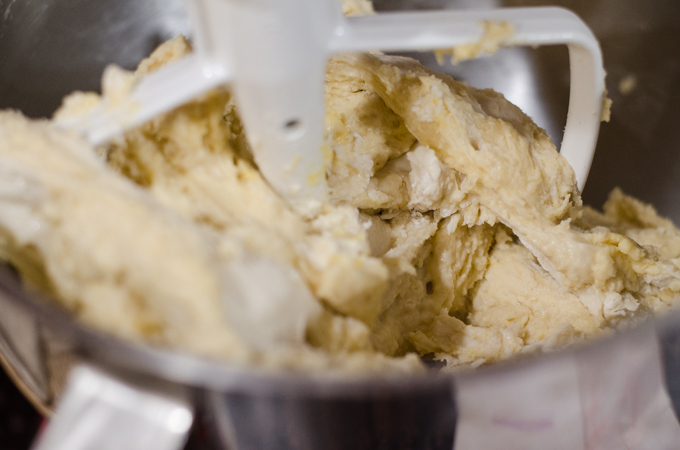 Mix on low speed until it comes together in a shaggy dough. Let rest (autolyse) for 30 minutes. 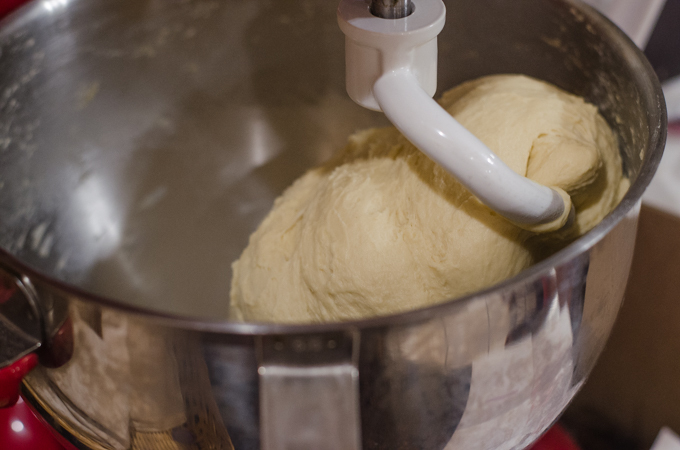 Switch to the dough hook. 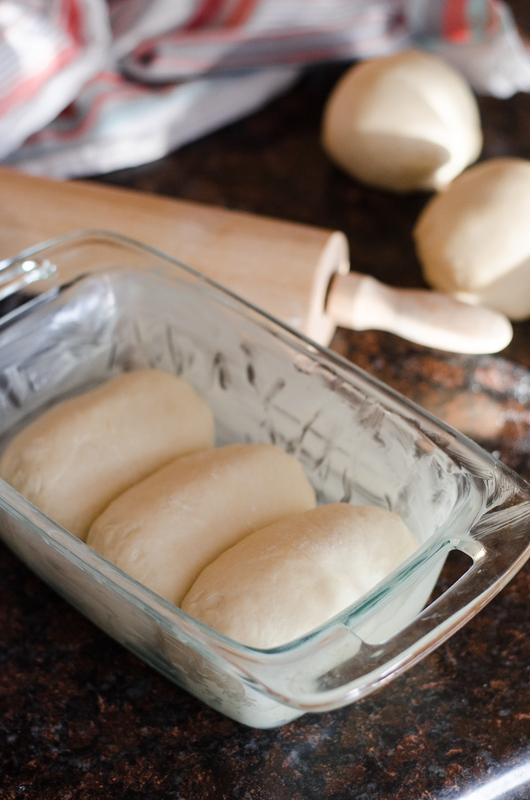 Sprinkle in the salt and knead for 3-5 minutes, or until the dough starts to come together. Add the butter gradually, mixing well after each addition. 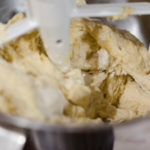 It will start out greasy, but the butter will eventually absorb into the dough. Continue kneading until the dough passes the windowpane test, about 10 minutes. 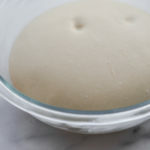 Place the dough in a lightly greased bowl, then turn to grease all sides of the dough. Cover tightly and allow to rise at room temperature for 2 hours. Place in the refrigerator to rise overnight. 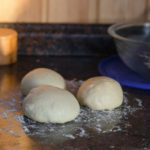 The next day, divide the dough into 3 pieces and form into balls. 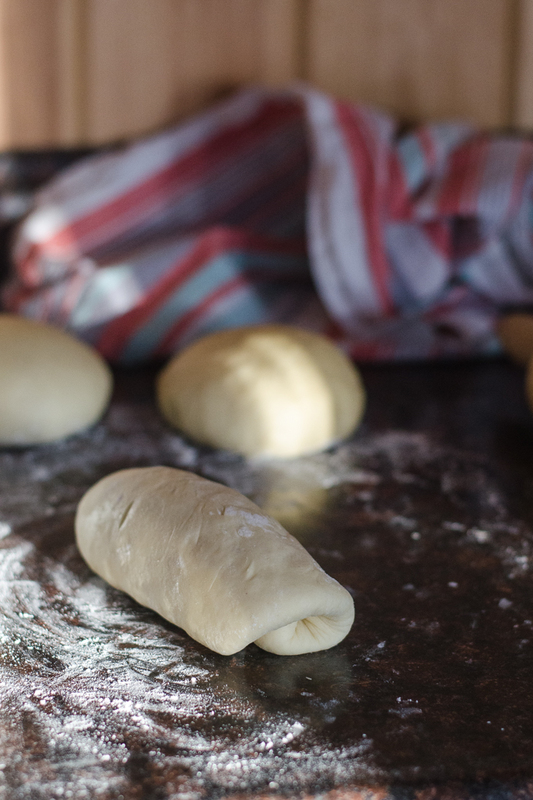 Place on a lightly floured surface, cover with a damp tea towel, and allow to rest for 1 hour. Roll each ball into an elongated oval, then roll each one up jelly-roll-fashion. Allow to rest for 10 minutes. Roll them out into an oval again along the seam, then roll each one up like a jelly roll once more. 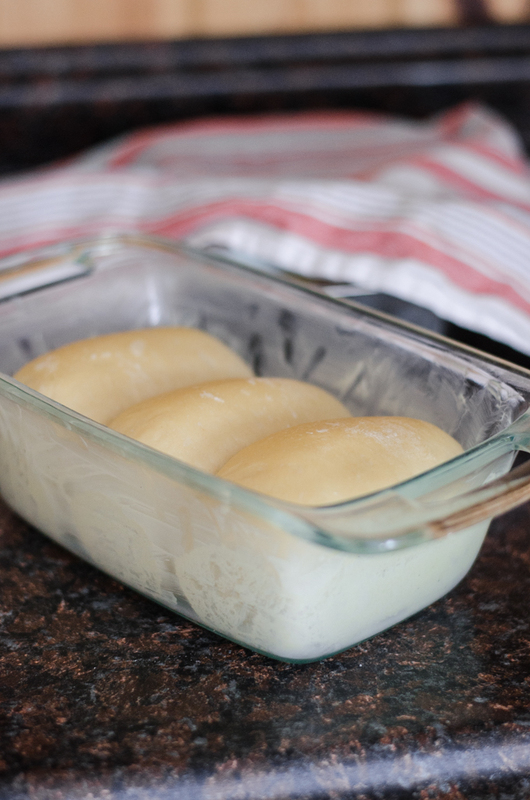 Transfer the rolls to a buttered 9x5-inch loaf pan. Cover with a damp tea towel and allow to rise at room temperature for about 6 hours. At that point the dough should have puffed up and filled the pan about 2/3-3/4 of the way. 30 minutes before the loaf is ready to bake, preheat your oven to 400 degrees F. Place the risen loaf into the hot oven and bake for 20 minutes. 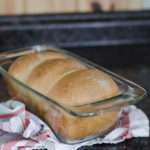 Lower the oven temperature to 350 degrees F and continue to bake for 15-20 minutes, or until the loaf reaches an internal temperature of 195-200 degrees F.
Transfer to a wire cooling rack and allow to cool completely before slicing (if you can). 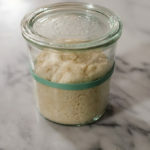 100% hydration starter means a starter that has been fed with equal weights (not volumes) of water and flour and allowed to rise until doubled, about 6-12 hours depending on the temperature of your kitchen. All of the mixing can be done by hand if desired. Wow! It really is a beautiful loaf of bread. Your step by step instructions make me feel like this is something I might be able to actually do! Thank you for taking the time to document the whole process. I can just imagine how yummy toad in a hole would be for this or even just a great grilled cheese. I’m so excited to try this! It’s rising now. One thing I noticed is that you never said how much salt to add. I looked at the recipe you adapted and went with their numbers, hoping it will be the right amount!! 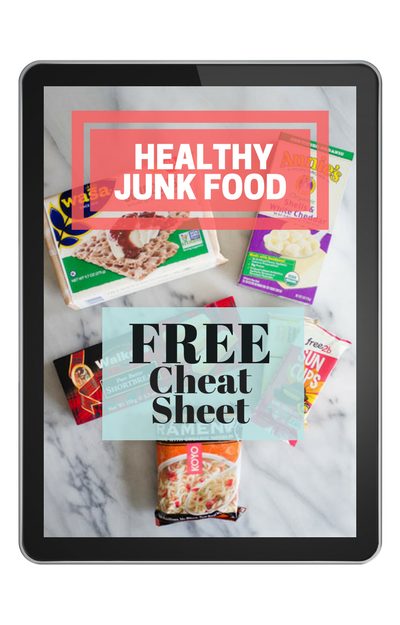 Oops – sorry about that! I left out the salt by mistake – I’m blaming mom brain on this one. 😜 I updated the recipe to include the salt. Hope you enjoyed the bread! Thank you! I absolutely LOVED it and can’t wait to make my next loaf! !